In my previous post, Agile Practices in Large System Integration Projects, I argued that some Agile practices are not easy to implement in enterprise system integration projects without tailoring. In this series of posts, I will identify a set of key Agile practices that offer the greatest value and recommend ways to tailor them to fit in the context of integration projects. In this initial post, I will explore at a high level some of the challenges with implementing Agile practices in integration projects. In the next post, I will explore the Product Owner. Wholesale adoption strategy. This involves the big bang implementation of Agile practices. Incremental adoption strategy. This is the “cherry picking” approach where a specific set of Agile practices are introduced gradually. In this series of blogs, we will not cover the wholesale adoption strategy of Agile. This is a huge and challenging topic better suited for a separate blog. Introducing Agile using the wholesale adoption strategy should be treated like all other types of process improvements that change organizational cultures. It should not be treated simply as a change to an organization’s project management approach, software development methodology, or one that only impacts the IT department. It certainly should not be delegated to or driven by a single department (IT). And just like any effort that attempts to change a culture, it should be anticipated as a huge challenge. Our main focus will be on incrementally introducing specific Agile practices one project at time. I will assume that you, as the project manager, do not have a mandate, time, or funds to convert your entire organization to Agile. We are simply going to focus on introducing Agile at the project level. Our primary goal will be to use Agile practices to reduce risks and cut weeks or even months from an integration project timeline. The great majority of available Agile literature, training, and adoption approaches are based and focused on the experience of project teams working primarily on custom software development projects. By the way, one of the best books on adopting Agile for custom software development projects is “Becoming Agile” by Greg Smith and Ahmed Sidky. 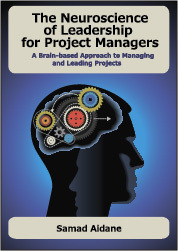 This is a great book that walks a project team through the entire process. Unfortunately, I found very little information on how to apply Agile practices to large system integration projects, especially those that involve commercial-off-the-shelf (COTS) solutions such as ERP or CRM, for example. Yet these types of projects constitute the large majority of projects in typical corporate IT departments. One of the key challenges you will face when considering Agile for this type of projects is that most of the Agile practices that originate from custom software development have been optimized for the development or construction part of a software project. In the current Agile literature, there is not sufficient coverage of the other dimensions that make up the entire life cycle of a typical integration project. They often involve contractual agreements with COTS vendors and/or implementation partners. They require large teams that report to and represent different departments, divisions, and often, geographic regions. They also involve tough decisions with cross-organizational implications. They tend to require integration with internal and external systems. Sometimes they are subject to complex compliance and governance processes. They require major organizational change management. As such, they are inherently rife with conflict and political power struggles due to competing priorities and interests from different departments, divisions, and regions. Due to these complexities, current Agile practices hit the limit of their effectiveness when applied off-the-shelf to large integration projects. There are many ways to tailor Agile for an integration project. Instead of giving you multiple options, I will offer a recipe of specific steps. This does not mean that other approaches are wrong, it just means that I will start the conversation by recommending a specific approach and invite you to share your experiences, insights, and questions regarding this topic. As we proceed, we will take a pragmatic approach to tailoring Agile practices by borrowing and combining many practices from Scrum, Extreme Programming, Kanban, Scrumban, and others. We will definitely violate some Agile guidelines. I will assume that, as project managers, we get credit only for delivering a project successfully, not for passing the Agile “Purity Test”. In the meantime, I invite you to respond with your comments and thoughts on this very important topic. I am intrigued by your stream of concepts and am looking forward to your input and thoughts around Agile adoption for Enterprise applications. You are right on with your disclaimer that some agile purists are not convinced that agile can be applied in an ERP environment. However, we have successfully delivered agile with long standing SAP customers. We have been able to introduce Agile and see teams increase their performance up to 250%…..they could not do that with traditional waterfall. Your approach of pragmatism combined with assessing an organization’s culture are extremely important… especially when you are evaluating how to start the migration from waterfall to agile. Thank you so much for your kind words and I look forward to continuing our conversation. I also look forward to your future comments and contributions, as we together explore this very important topic.